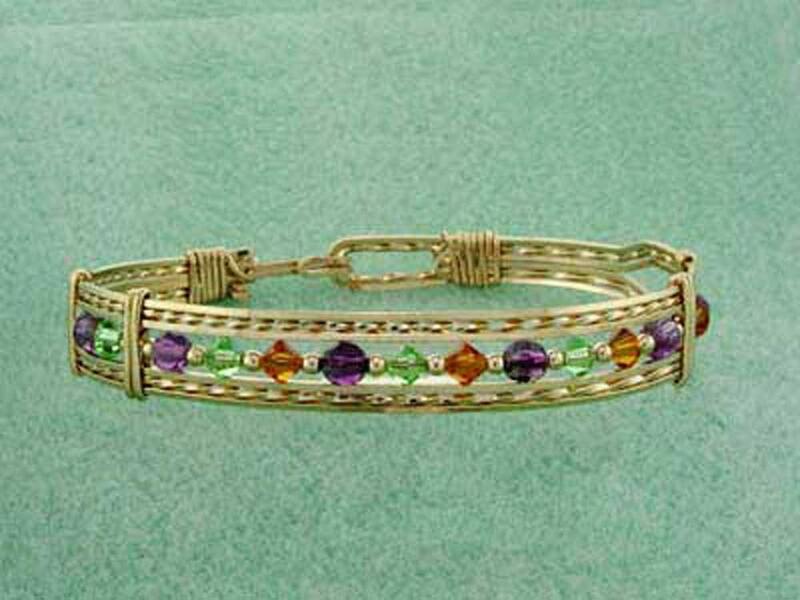 Custom mother's birthstone bracelet in gold with Swarovski Crystal birthstones. 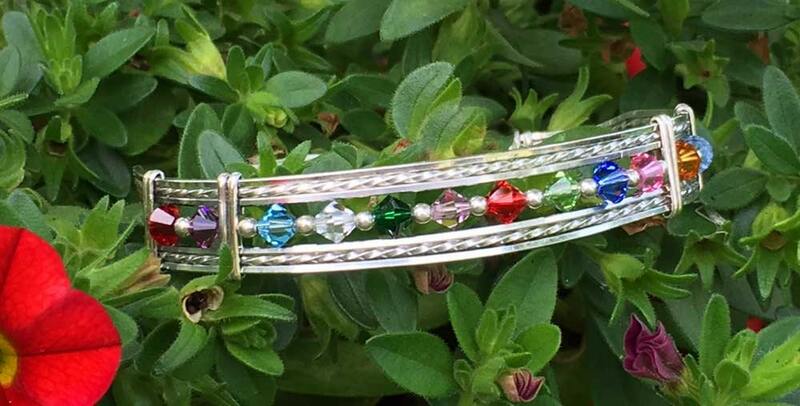 This sparkling birthstone bracelet would make a perfect holiday, mother's day, or birthday gift for any mother or grandmother. Each Bracelet is set in luxurious 12 Karat Gold Wire and is hand crafted especially for you. AT CHECKOUT PLEASE SPECIFY YOUR BIRTHSTONE CHOICES IN THE "NOTES TO SELLER" BOX. 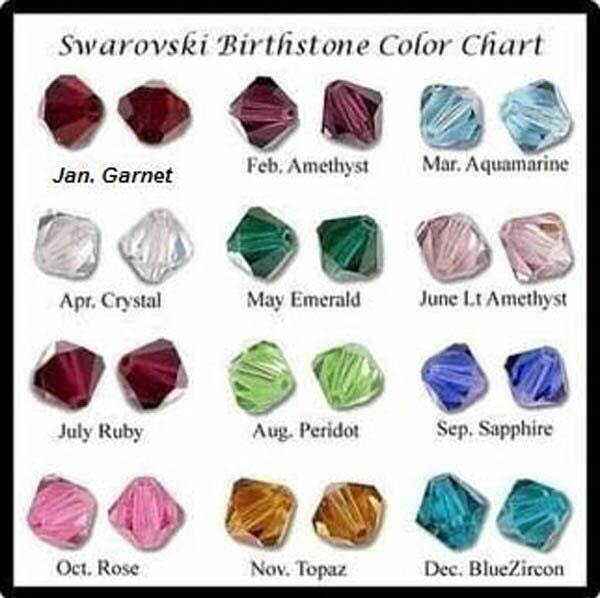 The birthstone chart is shown in the last photo. 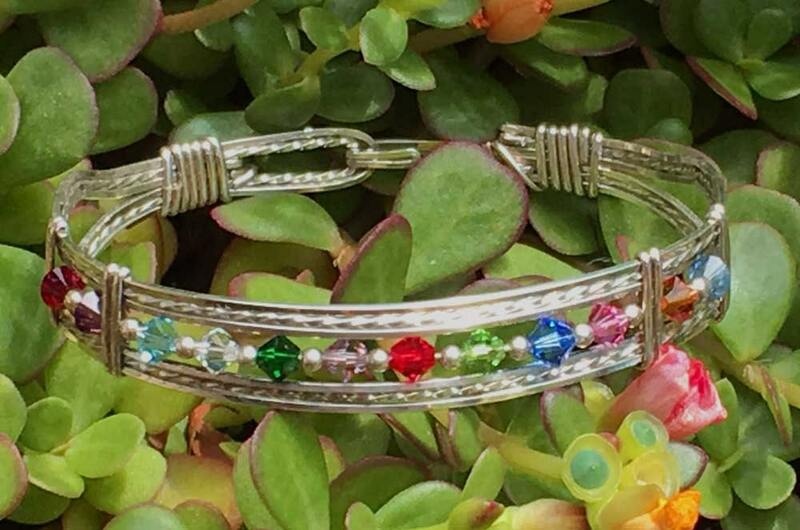 This beautiful and unique mother's bracelet is designed to represent your family. The Swarovski Crystal Birthstone Beads can include Mom, Dad and all the Kids or maybe you want to honor Grandmother with a strand that represent her precious grandchildren. My fine handcrafted jewelry made from 12 Karat Gold Wire. Beautiful Quality Faceted Swarovski Crystal birthstone bi-cone beads are combined with gold spacer beads.